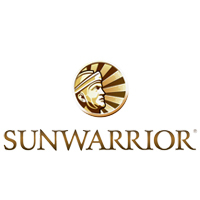 Based in the USA and operating internationally, Sunwarrior began in the back of a health food store in a tiny desert town when two friends rejected the unacceptable proteins on the market and turned back to nature for something better. Believing that plants provide the cleanest and best concentrated raw vegan nutrition available, being rich in antioxidants, vitamins, minerals, enzymes and phytonutrients, they sourced the finest organic ingredients from across the globe to create a range of powerful, raw, vegetarian and vegan supplements, mineral complexes, immune boosters, and superfood ormus greens, that are rich in health-giving vitamins and antioxidants. The continuing Sunwarrior mission is to seek out the best sources of energy, "the wondrous plants that capture light", and use them in their raw, natural state to overcome disease, raise the level of wellness, boost intelligence, share wisdom, extend life, and reduce damage to ourselves, our neighbours, and our planet. Sunwarrior believes that each of us holds the power over our health, if we have access to the right foods, knowledge, and tools. 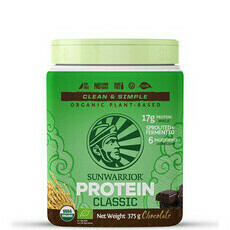 Their motto is "Transforming the Planet One Warrior at a Time". 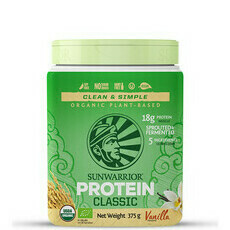 All Sunwarrior proteins are gluten free and non-GMO, and only recycled and recyclable packaging is used in the production process.